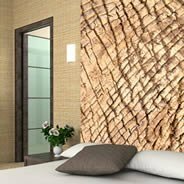 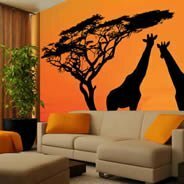 From small accents to full wall coverings, our animal wall murals can be used to decorate a variety of spaces in a chic and exotic way. 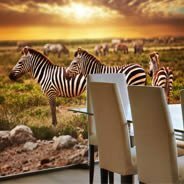 Browse through Safari quality prints that will transport your family, guests, co-workers or even clients to the African plains. 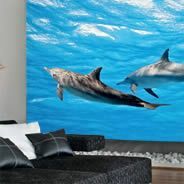 Or lose yourself under the sea with our Oceania, Aquatica or Dolphins high resolution wall murals. 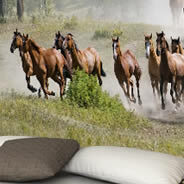 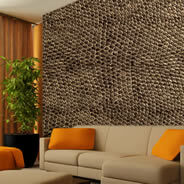 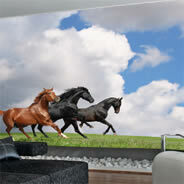 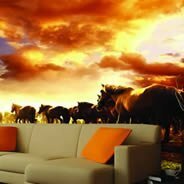 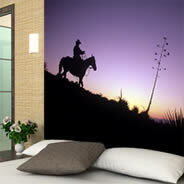 You can also bring an equestrian feel to your décor with our Horses, Equine passage or Cowboy vinyl wall paper. 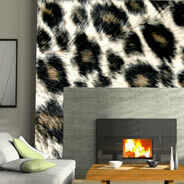 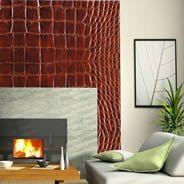 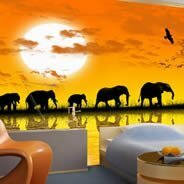 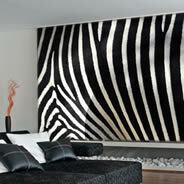 Or perhaps take a walk on the wild side with our animal prints like the Leopard, Snake, Zebra, Crocodile or Elephant wall murals. 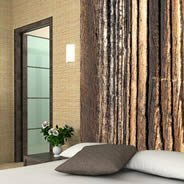 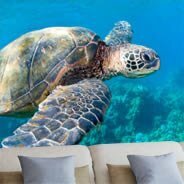 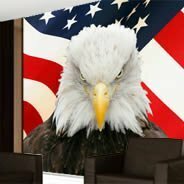 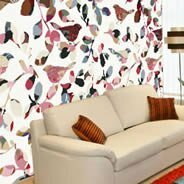 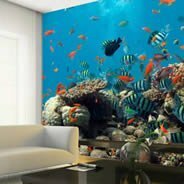 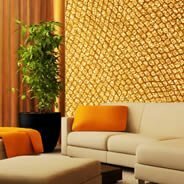 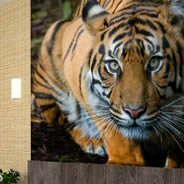 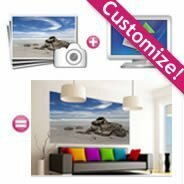 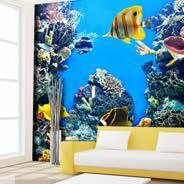 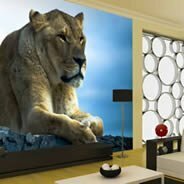 All of that, with the assurance you are receiving a premium self-adhesive vinyl wall mural that is easy to apply and does not require paste or glue for installation.